Hydro-Québec is market leading when it comes to payments modernization. Payments Canada caught up with Michel Lechasseur, Cash and Financial Services Manager to talk about preparing to take advantage of modern payments, and how they see ISO 20022 - a global messaging standard that allows more data to travel with electronic payments - playing a critical role in the journey. 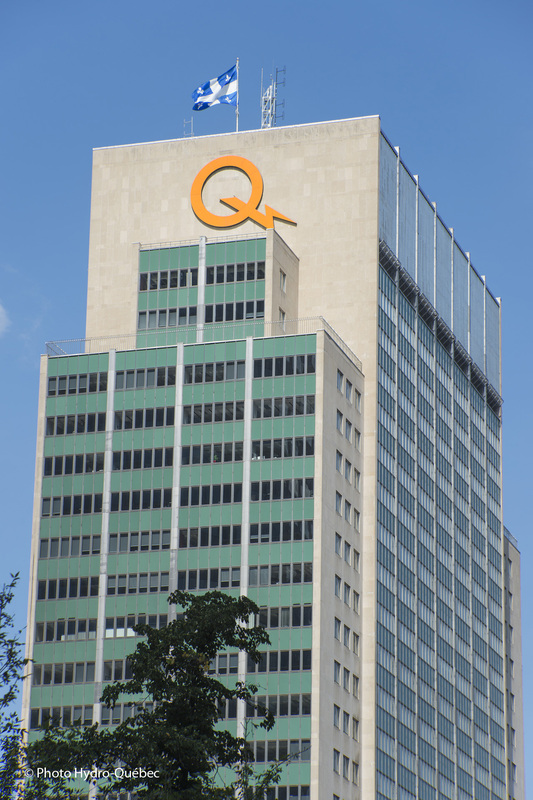 Hydro-Québec is upgrading its own systems in preparation for payments Modernization. Can you tell me more about that? We started preparing for payments Modernization by getting a clear understanding of our processes and identifying where improvements could be made. We then created a dedicated project team to focus on the identified improvement opportunities. To kick things off, we became a corporate user of SWIFT messaging to improve upon the efficiency of our treasury operations, supporting our overall approach to modern payments. Outside of these activities we also consulted with internal and external advisors on how to adapt our technology for higher efficiency. We continue to rely on Payments Canada as a significant source of information to help shape our vision for the future. That requires an investment of course. How did you present the importance of these improvements to your Chief Financial Officer? Our goal is to move away from costly manual processes, towards more electronic payments. When we analyzed our payments a few years ago, we estimated that 40 per cent of our payments at the time were made electronically, and 60 per cent were a mix of manual processes and banking platforms. We’re now in the process of quickly moving towards our target goal of 90 per cent electronic payments. Modernization will be cost effective long term, which was an important aspect to present to our Chief Financial Officer, while keeping ISO 20022 at the centre of our reflection. We showcased to our Chief Financial Officer the need to adapt our processes in order to be compatible with new standards. ISO 20022 messages with data remittance will help bring the entire industry to a higher level of efficiency. What’s next in your payments modernization journey and do you have any lessons learned to share with other organizations thinking of modernizing? Through our process so far we’ve learned that achieving targets can be more complicated and time-sensitive than originally anticipated. All of our relevant internal resources, such as our treasury department, accounts payables and IT department, need to be on board and paddling in the same direction to achieve the desired outcome. Choosing the most suitable financial institution is also important for us. Since we do cross-border payments we decided to have one financial institution for testing and implementing our U.S. ISO 20022 payments, mainly wire, and one for testing and implementing our Canadian ISO 20022 payments. Overall, a progressive implementation and testing approach in collaboration with our select financial institutions is well underway with the hope of proceeding with ISO 20022 payments in the near future. To date, some of our payments are already ISO 20022 operational, while others are in the process of becoming ISO 20022 ready. What do you see as being the biggest drivers of ISO 20022 adoption amongst your industry and others? Of course, we first need the new systems in play, but secondly it is the speed that financial institutions will modernize and how quickly they will have capacity to process ISO 20022 payments. We see financial institutions as clear leaders with corporates, like us, following closely behind. Will you be attending the Payments Canada’s SUMMIT this year? Of course! I look forward to learning more about the payments processing capability of financial institutions and their own progress on Modernization. Learning about the tangible benefits and opportunities of new payments systems like Real-Time Rail would be valuable. More knowledge helps set expectations and allows us to prepare so we can take full advantage of modernized payments. Hydro-Québec's mission is to provide customers with a high-quality power supply while contributing significantly to Québec’s collective wealth. Hydro-Québec's hydroelectric facilities play a central role in the emergence of a low-carbon economy. As recognized leaders in hydropower and large transmission systems, Hydro-Québec exports clean, renewable power and commercializes its people’s expertise and innovations on world markets. Electricity, clean and renewable, helps combat climate change while promoting a greener, stronger economy. Michel Lechasseur, Cash and Financial Services Manager for Hydro-Québec is a member of Payments Canada's Stakeholder Advisory Council.